For those of you who follow the internal machinations of DCAA, you will be interested in this article in the Government Executive about the tersely worded memo announcing the departure of the Agency's Western Regional Deputy Director. You can read it here. The FAR Councils just released FAC (Federal Acquisition Circular) No. 2005-46 which contains a number of changes that will be of general interest to Government contractors. We will report on a select few in due course but we wanted to alert everyone right away to a change that is certain to have a ground shaking impact on companies who want to do business with the U.S. Government. This all started about a year, October 1, 2009, when the President issued an Executive Order 13513 requiring every Federal agency in procurement contracts, grants, and cooperative agreements, and other grants to encourage contractors and subcontractors to adopt and enforce policies that ban text messaging while driving company-owned or rented vehicles, or while driving POV when performing any work on behalf of the Government. It took a year but the Government finally got the directive incorporated into the FAR. Good thing, too. The FAR needs more girth. The contract clause now required in contracts and subcocntracts states that contractors (and subcontractors) should adopt and enforce policies than ban text messaging while driving company-owned or rented vehicles or Government-owned or privately owned vehicles when performing any work on or behalf of the Government. Further, the contractor should conduct initiatives such as establishing new rules and programs or re-evaluations of existing programs to prohibit text messaging while driving, and conduct education awareness and other outreach to employees about the safety risks associated with texting while driving. The clause has no teeth. It states that contractors "should" adopt and enforce policies. It does not require that contractors adopt and enforce policies. Nevertheless, it will probably show up in some kind of self-certification some day (like drug-free workplace) and some auditor, thinking he/she is doing something useful, will ask you for your policies and procedures that ban texting while driving and check on your enforcement procedures. By the way, if you are ever need to find the definition of "driving", you can now look it up in FAR 52.223-18. Take that, Mr. Webster. There are a few internal control systems that are absolutely essential for small Government contractors. Among them are accounting, timekeeping, and billing systems. Without effective policies and procedures for these systems, contractors are going to find themselves at odds with Government auditors sooner or later. The time to ensure that these systems are operating effectively is right now. If you wait until an audit is requested, its probably too late. When an auditor tests the adequacy of a system, he/she is looking at how it operates in practice, not in theory. An auditor will make assessments based on how the system handled historical transactions. If a contractor modifies its system upon learning that an audit is imminent, there would probably be no completed accounting cycle on which to test the new system. The auditor is going to test the system that was in effect the last time a billing was submitted or the last time that timecards were collected, reviewed and approved. We saw an example of this the other day for the umpteenth time. A contractor's billings did not tie into its formal accounting records. Upon notification that the auditors were coming to review the accounting system (which includes billings), the contractor brought its procedures into compliance with Government requirements. But it was too late to effect the audit. The auditors reviewed the most recent billing and concluded the billing system was inadequate. They did not wait for one or two accounting cycles to be completed in order to test the revised system. Now this particular contractor is going to have to deal with the ramifications of an "inadequate" report. Last week the Commission on Wartime Contracting held another hearing focusing this time on the lack of Governmental oversight over the contractors in Iraq and Afghanistan. This got us to wondering just how many contractor personnel were over there. We dug around a little bit and found a report from the Department of Defense showing that information. The data is from May of this year. Here are a few facts to help put things in perspective. There were 207,553 contractor personnel operating in Iraq and Afghanistan. Of this amount only 53,421 (about 20%) were U.S. Citizens. (that's about 14,000 fewer than attended the Seattle Seahawks win over the San Diego Chargers yesterday). The remaining 80 percent were local/host country nationals and third country nationals. Of that 53 thousand, only 1,150 are armed private security contractors we hear so much about. Most of these contractor personnel are involved in base support activities, logistics, maintenance, construction and transportation. By the way, before you consider submitting a bid for a potential lucrative contract in Iraq or Afghanistan, consider risks. So far in 2010, contractor deaths have exceeded military deaths (254 vs 235). Maybe the reason that we don't hear much about that fact is that most of these contractor deaths involved local/host country nationals or third country nationals; from places like India, Nepal, Sri Lanka, Bangladesh, and the Philippines. These workers, it is reported, earn about $20 per day for a 12-hour shift. QuickBooks users (there are about 3.5 million of you) have probably received marketing materials from Intuit announcing the availability of QuickBooks 2011. We automatically receive the latest versions as QuickBooks Certified Pro Advisors. We like to kick the tires and find the new features and see if there is anything there worth recommending to our clients. QuickBooks is a mature product and the changes/enhancements from one year to the next are not always that significant. That seems to be true for QuickBooks 2011. And, since QuickBooks will support its products for three years, there is usually no urgency to purchase the annual upgrades. Additionally, if you are running "add-ons" to QuickBooks, you must also consider whether the "add-on" product is compatible with the new QuickBooks version. Following are the features new to QuickBooks 2011. Most of these have limited applicability to the Government contracting environment. If these new features do not seem to have immediate applicability to your business practices, you might pass on the latest upgrade. Back on August 18th, 2010, we reported on a new policy by DoD that removed the major impediment to small contractors participating in the direct billing program. Go here to read that posting. To summarize, DoD removed the words "for contractors with approved billing systems" from the DFARS 242.803(b)(1)(C) criteria for participating in the direct billing process. DoD's stated intent here was to reduce administrative costs and conserve resources in processing low risk payment vouchers. Well, there seems to be a definitional issue with the term "approved". DCAA has not changed its guidance. The latest Contract Audit Manual on this topic, which carries a date of September 16, 2010, continues the same coverage it always had concerning the qualification of contractors for participating in the direct bill program, to wit, they must have an "adequate" billing system. "Approved" and "Adequate" are two different things, according to one DCAA auditor. What is the point of the DFARS "Class Deviation" that relaxes the billing system requirement if the Agency that is tasked with approving contractors for the direct bill program is ignoring it? If you are affected by this inter-agency game of "chicken", you need to elevate the matter to your ACO and if that doesn't work, your PCO. The FAR councils have proposed to change the method of calculating interest on defective pricing from simple interest to interest compounded daily. The councils do not expect this proposed rule to have a significant economic impact since the number of contractors found to have submitted defective cost or pricng data are a minute subset of contractors to whom the Truth in Negotiations Act (TINA) applies. While this may be so, the proposed change will have a significant effect on those contractors who are found to have violated TINA. First of all, defective pricing is not going to be alleged unless it is significant in the first place. Secondly, iinterest on defective pricing is calculated from the time the contractor receives a payment that was inflated because of defective pricing until it repays the Government. This is usually several years. Its not uncommon for these cases to extend five years. We've seen one at eight years. There are probably cases longer than that. Daily compounding is going to cost about 20% more than simple interest over a five year period. The comment period for this proposed regulation runs until November 22, 2010. Go to http://www.regulations.gov/ for details on how to comment. There are many times when auditors do not agree with one another on the significance of an audit finding, questionable cost, or internal control weakness. Disagreements among peers can usually be worked out amicably but disagreements between auditors and supervisors and/or managers can become quite delicate to resolve. "Independence" and the exercise of "auditor judgment" are two key bywords/phrases in the auditor lexicon. Questioning an auditor'sjudgment or calling into question his/her independence is crossing a very critical line. There are legitimate reasons why a supervisor might disagree with the audit conclusions and recommendations of a subordinate. There are less defensible reasons as well. Before an audit report is issued, every effort is made to reconcile differences in opinion. If the difference of opinion cannot be reconciled and the auditor's position is changed, the respective positions are still retained as part of the official file. At this point, an auditor can choose to remove his association with the audit. Contractors may be able to tell when there has been a disagreement between auditor and management by looking at the audit report to see if the auditor's name is listed as a point of contact. If it is not listed, there might have been dissension in the clubhouse. Indicate how you have computed and applied your indirect costs, including cost breakdowns. Show trends and budgetary data to provide a basis for evaluating the reasonableness of proposed rates. Indicate the rates used and provide an appropriate explanation. On August 24, 2010, DCAA issued its interpretation of this provision as an "alert" to its audit staff. DCAA stated that to comply with this provision, a contractor’s indirect rates should be based on a well-supported basis of estimate for each Fiscal Year of the proposed period of contract performance. To demonstrate reasonableness, contractors must show how they computed and applied the indirect rates while also providing supporting trend and budgetary data with appropriate explanations commensurate with the size and complexity of the contractor’s organization. The term "...commensurate with the size and complexity of the contractor's organization" introduces a subjective element into the process. As typical when matters are left to auditor judgment, consistency in apply that guidance will suffer. Already we have seen such inconsistencies where one auditor will accept and another reject proposals that did not discretely estimate indirect rates beyond one year. Larger contractors. The new guidance states that "...it would be expected that the proposed indirect rates for the first year be based on a detailed management-approved operating budget, and each subsequent period be based on adjustments to the operating budget based on strategic or long-range forecasts." The guidance further states that it is not expected that even larger contractors prepare detailed operating budgets for each fiscal year of contract performance. Smaller contractors. The guidance acknowledges that smaller contractors often do not develop detailed budgets due to their impracticality to their organization. It is not uncommon for smaller firms to have limited budgetary data and assert that historical costs are the most appropriate basis to estimate all out year rates. In these cases, the auditors are instructed to ask the contractor for necessary trend data with appropriate explanations to support that the historical costs are the most reasonable estimates for the out year rates. We should also point out that the level of expected detail is going to vary according to other risk factors. Two very important risk factors from an audit perspective are contract type and the amount of commercial work to which the rates are allocated. Fixed price contracts are higher risk than flexibly priced contracts because there is no "second chance" to review costs. The Government views commercial work as a significant motivator to keep indirect rates low. Contractor Employee Goes to Jail - What Can We Learn? A manager working for a contractor providing facilities management at a Government facility, set up three fictitious companies and then conspired with a Government employee working there to use his Government credit card to place orders with the bogus companies. Over a period of four years, the two conspirators made about $1 million in bogus purchases and then split the proceeds. Yesterday, September 16th, the judge sentenced the contractor employee to 15 months in jail and ordered him to repay the $1 million. The Government employee previously plead guilty. There was no indication in the Department of Justice's press release on this case that the contractor was implicated in any way. Neither was there any indication of how the fraud was exposed. When we read of these cases, we are immediately drawn to consider how something like this could have been prevented in the first place. Conspiracies, according to the Association of Certified Fraud Examiners (ACFE) are usually the most difficult of fraudulent activity to discover. Two or more persons acting in concert can easily override the internal controls that companies have established to prevent fraud from happening. In this case, there seems to have been a significant purchasing system internal control weakness. The contractor employee was responsible for the repair and upkeep of the facilities. When he needed supplies and services to accomplish the mission, he would prevail upon the Government card-hold to order the items and pay for them with the card. That procedure was probably not sufficient to prevernt the fruad. An adequate purchasing system would have the following minimum requirements. Someone initiates a purchase order - the purchase order must include justification for the purchase. Someone else reviews and approves the purchase order. The order is placed by someone independent of the initiator and approver. The purchasing department is responsible for finding sources and establishing best prices. A fourth independent person verifies that materials were received or services rendered. Accounts payable makes payment after matching purchase order, invoice, and receiving document. Note that there are five people involved in the process, not two. It is much more difficult to sustain a conspiracy with five player than it would be with two. This would be a good time to consider the strength of your own purchasing policies and procedures. FAR Part 31 addresses advertising costs in two areas. In FAR 31.205-1 (Public Relations and Advertising Costs) advertising is generally unallowable. There are a few listed exceptions but generally, most advertising is unallowable. However, over in FAR 31.205-34 (Recruitment Costs), the cost of "help wanted" advertising is specifically allowable as long as it meets certain criteria. Some companies are unaware of the "help wanted" exception to advertising costs and categorize it and all other advertising as unallowable. Others leave "help wanted" advertising costs in their proposals, billings, and incurred cost submissions without understanding the specific allowability criteria. That is not good because it opens the possibility of being penalized for claiming unallowable costs. So, for example, advertising aimed at building a backlog of resumes, rather than filling specific job openings would be unallowable. So would the cost of glossy ads in trade journals that only tangentially reference job openings (e.g. "come join our team" or "for employment information, call..."). Description of the position(s) being offered. Description of the compensation and fringe benefits. Brief description of the company and its work. Pertinent illustrations, conservative in size, that do not evidence promotion of the sale of the contractor's products or fostering of its image. Name of the company, conservatively presented in relation to the other information in the advertisement. Concerning "help wanted" advertising, DCAA has added "reasonableness" criteria to the guidance it offers its auditors when reviewing those costs. Advertising which is excessive in relation to the number and importance of the positions, or in relation to the practices of the industry, is unreasonable and therefore unallowable. Inherent in any such determination is not only the size of a particular advertisement in a publication, but also the length and frequency of recruitment advertising in all media (including radio and television). Consideration must also be given to the effectiveness of the advertising program in terms of responses by qualified personnel and the number of hires. This is an area in which technical assistance from the administrative contracting officer can be most useful. This "reasonableness" criteria does not come from the recruitment cost principle. It is inferred from other guidelines that require costs charged to Government contracts to be reasonable. The guidance is highly subjective but contractors are not likely to encounter this level of scrutiny unless the costs were very significant. Prior to 1999, cost of "help-wanted" advertising designed to pirate employees away from other Government contractors was unallowable. Also prior to 1999, the cost of color advertising was unallowable but black and white was okay. DoD announced yesterday a new strategy to change how the Department will contract for goods and services. The hope is that this move will create greater efficiency and productivity in defense spending. DoD outlined 23 specific actions designed to save $100 billion over the next five years. According to Defense Secretary Gates, many of the changes will take effect immediately. Here is a rundown of a few of those actions. Another area of the guidance involves creating leaner programs. Programs will now require not only an estimation of what they will cost under business as usual, but what they should cost if programs are managed effectively and hit cost objectives. “In too many instances, cost estimates that are based on past programs, I might say past mismanagement, have deprived us of incentives to bring down costs,” he said. Increasing the use of contracts in which the benefits of productivity and costs of overruns are shared by both the contractors and the department is another strategy announced by Gates. “This method is being applied to the Joint Strike Fighter where we need and expect to begin reversing the cost growth that led me to restructure the program and change its management last year,” he said. Increasing the use of competitive awards is always something that comes up whenever cost savings is discussed. Sure enough, Gates through this one into the mix. "Competition as a source of productivity in the defense industry, and gives managers direction on driving real competition", Gates said. The littoral combat ship program is an example of this, he said, with the acquisition strategy shifting from directed to competitive buys. This strategy alone is going to save $1 billion over five years. In some cases, the department’s bureaucratic processes are contributing to contractor inefficiencies, Gates noted. To avoid this, the department will take steps to reduce inefficient processes and bureaucracy as well as costly and unnecessary reports (yeah? well, that remains to be seen). Another area ripe for cost savings is the professional services, information technology and facilities upkeep contracts. The department spends more than $200 billion annually on these contracts. Starting immediately, measures will be introduced that will improve efficiencies in service contracts, including increasing the frequency of competitive bidding. Gates acknowledged that the changes won’t come easily or overnight. “Like all important and necessary institutional reforms, this process will take time and real effort to overcome longstanding habits and assumptions,” he said. As a general rule, contractors must make available records, which includes books, documents, accounting procedures and practices, and other data, regardless of type and regardless of whether such items are in written form, in the form of computer data, or in any other form, and other supporting evidence to satisfy contract negotiation, administration, and audit requirements of the contracting agencies for three years after final payment (see FAR 4.7) or, for certain records delineated below, the period specified or three years, whichever comes first. If a particular contract specifies a longer period, the longer period applies. If a contractor does not meet the original due date for submission of its final indirect cost rate proposals (six months after the end of its fiscal year) the retention periods are automatically extended one day for each day the proposal is not submitted after the original due date. Retention periods are calculated from the end of the contractor’s fiscal year in which an entry is made charging or allocating a cost to a Government contract or subcontract. If a specific record contains a series of entries, the retention period is calculated from the end of the contractor’s fiscal year in which the final entry is made. Typically, contractors cut off the records in annual blocks and retain them for block disposal under the prescribed retention periods. When records generated during a prior contract are relied upon by a contractor for cost or pricing data in negotiating a succeeding contract, the prescribed periods shall run from the date of the succeeding contract. Following are the FAR required retention periods for specfic records. Financial and cost accounting records. Accounts receivable invoices, adjustments to the accounts, invoice registers, carrier freight bills, shipping orders, and other documents which detail the material or services billed on the related invoices: Retain 4 years. Material, work order, or service order files, consisting of purchase requisitions or purchase orders for material or services, or orders for transfer of material or supplies: Retain 4 years. Cash advance recapitulations, prepared as posting entries to accounts receivable ledgers for amounts of expense vouchers prepared for employees’ travel and related expenses: Retain 4 years. Paid, canceled, and voided checks, other than those issued for the payment of salary and wages: Retain 4 years. Accounts payable records to support disbursements of funds for materials, equipment, supplies, and services, containing originals or copies of the following and related documents: remittance advices and statements, vendors’ invoices, invoice audits and distribution slips, receiving and inspection reports or comparable certifications of receipt and inspection of material or services, and debit and credit memoranda: Retain 4 years. Labor cost distribution cards or equivalent documents: Retain 2 years. Petty cash records showing description of expenditures, to whom paid, name of person authorizing payment, and date, including copies of vouchers and other supporting documents: Retain 2 years. 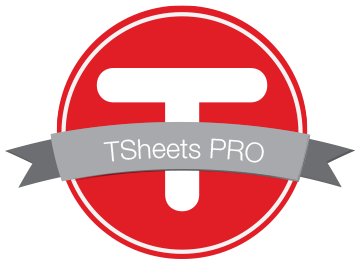 Payroll sheets, registers, or their equivalent, of salaries and wages paid to individual employees for each payroll period; change slips; and tax withholding statements: Retain 4 years. Clock cards or other time and attendance cards: Retain 2 years. Paid checks, receipts for wages paid in cash, or other evidence of payments for services rendered by employees: Retain 2 years. Store requisitions for materials, supplies, equipment, and services: Retain 2 years. Work orders for maintenance and other services: Retain 4 years. Equipment records, consisting of equipment usage and status reports and equipment repair orders: Retain 4 years. Expendable property records, reflecting accountability for the receipt and use of material in the performance of a contract: Retain 4 years. Receiving and inspection report records, consisting of reports reflecting receipt and inspection of supplies, equipment, and materials: Retain 4 years. Purchase order files for supplies, equipment, material, or services used in the performance of a contract; supporting documentation and backup files including, but not limited to, invoices, and memoranda; e.g., memoranda of negotiations showing the principal elements of subcontract price negotiations (see 52.244-2): Retain 4 years. Production records of quality control, reliability, and inspection: Retain 4 years. 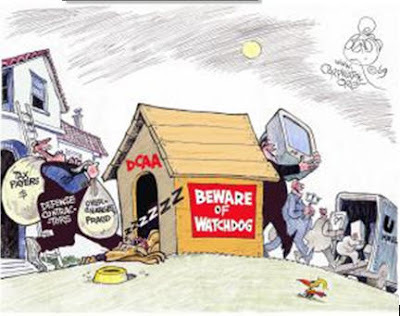 These days it seems like everyone wants to weigh in over the lack of contractor oversight by those Government Agencies that are supposed to be "watchdogs" or the Government's "first line of defense" when it comes to protecting taxpayer interests. Thus we have the highly publicized Commission on Wartime Contracting bemoaning the lack of oversight on multi-billion dollar contracts to support operations in Kuwait, Iraq, and Afghanistan, the DoD-IG ranting about the lack of quality in DCAA audits, and the "me too" GAO piling it on any executive agency involved in contracting or contracting administration, audit, and oversight. Now comes a new report by the staff of Senator Charles Grassley who initiated a review of the Department of Defense Inspector General's office after receiving a series of anonymous letters alleging mismanagement, low productivity, and misconduct within that Agency. instead of searching for fraud on the "money trail", IG auditors have strayed far from the core mission. Now, they frequently review DOD policies and procedures, which yields zero benefits to the taxpayers. They deserve the title: "DOD Policy Police." Discovering that the DOD IG no longer does genuine contract audits was a startling revelation but one that helps to explain why 765 OIG auditors could not document any measurable fraud in FY 2009. If audit capabilities are seriously degraded or crippled, as suggested in this report, then OIG oversight is gravely impaired, leaving huge sums of the taxpayers' money vulnerable to fraud and outright theft. The OIG Audit junkyard dog has been defanged and rendered harmless. This report did not include DoD comments and we haven't seen anything to indicate the Department's position. We suspect that while the Department may agree with some of the factual matters that lead to Grassley's findings, it would in no way concur with the overall conclusions. Agencies shall require that purchase descriptions for service contracts and resulting requirements documents, such as statements of work or performance work statements, include language to provide a clear distinction between Government employees and contractor employees. Service contracts shall require contractor employees to identify themselves as contractor personnel by introducing themselves or being introduced as contractor personnel and by displaying distinguishing badges or other visible identification for meetings with Government personnel. In addition, contracts shall require contractor personnel to appropriately identify themselves as contractor employees in telephone conversations and in formal and informal written correspondence. DoD issued the regulation, effective immediately, due to urgent and compelling reasons. Wonder what those were? For you contractor employees out there, look for an internal memo on proper (i.e. contractually required) telephone answering techniques. Read the entire regulation here. For anyone wanting to dig deeper into the subject of indirect costs, DAU (Defense Acquisition University) has a publication on its website that does just that. Indirect-Cost Management Guide: Navigating the Sea of Overhead is a web only publication last updated in 2001. Although there is certain topics that are a bit outdated, such as the "major new initiaves undertaken by DCMA and DCAA, most of the publication is generic and as relevant now as when it was first published. This publication claims to be the only single publshed source for the general audience of acquisition personnel that provides a complete overview of indirect cost management. Whether true or not, we don't know, but it is a very comprehensive document. This publication is a worthy addition to your library. Service Contracts. Service contracts are an important area for the Army in particular as 58 percent of the service's $585 billion in active contracts goes toward service contracts today. Affordability. The services must start thinking about affordability at the outset of a program not halfway through, This may include using "affordability targets" at program milestones. Incentives. For incentives, the question is what will really make a difference to the contractor, "One of the things we were talking about was it might not necessarily be a concern as to how much profit a contractor makes as long as the cost to the government is lower, the product is better and more sustainable." UPDATE: Effective October 1, 2015, the threshold increases to $750,000. See details here. Effective October 1, 2010, the threshold for requiring certified cost or pricing data (FAR 15.403-4(a)) is increased for inflation from $650 thousand to $700 thousand. A slew of other inflation-related thresholds are increased as well. For a complete matrix of all FAR thresholds by FAR cite, click here. In publishing these adjustments, the FAR councils were careful to point out that "... the intent is not to reduce Government oversight but to maintain the status quo, by adjusting thresholds to keep pace with inflation. If thresholds are not adjusted for inflation, the number of contracts subject to the acquisition-related threshold will continue to grow, because more and more contracts will be above the stated thresholds." Many contractors offer training programs for their employees. These programs vary considerably from contractor to contractor depending on the relative need for training, training objectives, the size, stability and composition of the work force and other factors. When the costs become significant, the Government’s interest also becomes significant. The allowability of training and education costs are based on the specific provisions of FAR 31.205-44 (Training) as well as the more general “reasonable” principle found in FAR 31.201-3. (For a more detailed look at “reasonableness” see our blog post from June 17, 2010). Cost of full-time graduate level education in excess of two years or the length of the degree program, whichever is less. Overtime premium paid to employees while attending training. Grants, donations, scholarships, and fellowships are all considered contributions and are unallowable. Training or educational costs for other than bona fide employees except in cases where the employee is working in a foreign country and suitable public education is not available. In these cases, the costs for education of the employee’s dependents are limited to primary and secondary level studies. Contributions to college savings plans for employee dependents. Criteria for determining employee eligibility and the need for specific training courses or activities. Requirements to monitor the program to assure regular attendance and adequate course performance by the personnel enrolled. Procedures for evaluating the suitability and sufficiency of each course of study or activity (e.g. relates to the field in which the employee is working or may reasonably be expected to work). Systematic post-training observation by the contractor of trainees’ progress on the job would assist in achieving this objective. Provisions to prevent recipients from receiving reimbursement from both the contractor and other outside sources. For example, even though college tuition reimbursement for veterans would be allowable under FAR 31.205-44, it is not reasonable for a contractor to provide applicative reimbursements to veteran employees who are also eligible for reimbursement through the Veterans Administration. Training and education costs incurred by contractors, that are subsequently reimbursed under various initiatives provided by the Job Training Partnership Act, or any other similar programs, should be credited to government contracts in accordance with FAR 31.201-5. Training and education costs should not discriminate against Government business or result in undue charges to Government contracts. This would occur if, for example, a company regularly hired new employees in its Government-oriented divisions, charged their training costs thereto, and then transferred the trained employees to their commercial-oriented divisions. Training and educational costs should properly be charged or allocated on a benefit basis. Such benefit would ordinarily be considered to accrue to the organizational segment(s) or profit center(s) of the company in which the personnel are expected to function (for a reasonable period of time) as a consequence of the training or education provided to them. Forward Pricing Rate Agreements (FPRAs) are very useful for contractors having a significant volume of Government contract proposals. When there is an FPRA in effect, the contractor and the Government do not need to spend time during contract negotiations haggling over indirect expense rates - the proposed indirect rates are already settled. Anyone can initiate a request for an FPRA. It may be requested by the contracting officer or the contractor or initiated by the administrative contracting officer (ACO). In determining whether or not to establish such an agreement, the ACO should consider whether the benefits to be derived from the agreement are commensurate with the effort of establishing and monitoring it. Normally, FPRA’s should be negotiated only with contractors having a significant volume of Government contract proposals. The cognizant contract administration agency is usually the final authority as to when an FPRA will be established. The process begins with a proposal from the contractor that is based on cost or pricing data that are accurate, complete, and current as of the date of submission. The ACO usually invites the cognizant contract auditor and all contracting offices having a significant interest to participate in developing a Government objective and in the negotiations. Upon completing negotiations, the ACO prepares a price negotiation memorandum (PNM) and forward copies of the PNM and FPRA to the cognizant auditor and to all contracting offices that are known to be affected by the FPRA. Even though the contractor's proposal must be based on current, complet, and accurate cost or pricing data, a Certificate of Current Cost or Pricing Data is not required at this time. It is required for individual pricing actions and a certificate at that time also applies to any FPRA used in negotiations. That makes it critical for contractors to continuously monitor the propriety of the rates included in the FPRA. The FPRA provides specific terms and conditions covering expiration, application, and data requirements for systematic monitoring to ensure the validity of the rates. The agreement shall provide for cancellation at the option of either party and shall require the contractor to submit to the ACO and to the cognizant contract auditor any significant change in cost or pricing data. When an FPRA is invalid, the contractor should submit and negotiate a new proposal to reflect the changed conditions. If an FPRA has not been established or has been invalidated, the ACO can issue a forward pricing rate recommendation (FPRR) to buying activities with documentation to assist negotiators. In the absence of an FPRA or FPRR, the ACO shall include support for rates utilized. If you believe your company has sufficient contracting volume to support an FPRA, you should contact your administrative contracting officer (ACO) to initiate the process. If you find that contract negotiations get bogged down when discussing indirect costs and/or it takes inordinate time to come to a meeting of the minds, you might be a good candidate for an FPRA. The folks over at CorpWatch have published a fairly comprehensive article on problems within the Pentagon's "Watchdog" Agency. Read it here. Except for the cleaver cartoon, it doesn't include any new information or insights but it does bring together information found in a variety of public sources.